Breakfast. At convenient time. Transfer to the airport to take your flight to Villa Hermosa; assistance at the airport and transfer to Palenque. Dinner and Overnight. Breakfast. Visit to the archeological site of Palenque, nestled in the jungle. One of the most important Mayan sites due to the findings in this location and also because of its beauty. Inside the carving pyramid archeologists found the sarcophagus of the Pakal King, with a craved stone. The Sun temple, The Cruz Follada Temple, and the Palace. Departure towards Campeche to find a beautiful view of the Mexican Gulf. Lunch. Panoramic tour around the city of Campeche. Overnight. Breakfast. Departure towards Uxmal. We will visit this Archeological site that ha a magnificent arquitecture beauty: The Fortune Teller pyramid, The nuns square, The governor´s palace and the Ball Game. Lunch. Continue our trip to Merida, *The White City* where we will start with a Panoramic tour: The Montejo boulevard, The Patriotic monunment, and the main square with the Cathedral and the Government Palace. Overnight. Departure towards Chichen Itza, The most renown Mayan city in Mexico. Archeological site where we can find how advanced were the Mayas with Astronomy studies. It has the Kukulcan Temple, the Ball game, the Skull platform, Jaguar’s Temple, The observatory, the one thousand columns plaza and the Sacred Cenote. We will Also have the opportunity to can swim once we arrive to the Majestic Cenote IK-IL. Lunch. 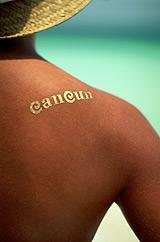 Continue to Cancun or Mayan Riviera. Arrival and overnight. Breakfast. Free day at leisure or for your own activities.